Truly, she taught everything there was to know about the government: Preach how the state works for the people, then make the state and the people work for the preachers. 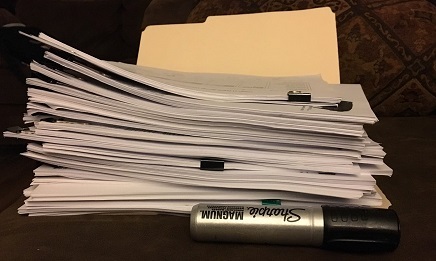 After examining timesheets and pay stubs (pictured above), reimbursement forms, org charts, and emails from the Yellow Springs Police Department and Ohio Police Officer’s Training Academy, a pattern of corruption begins to appear. It’s not obvious at first, as many sources need stringing together. There is a pattern of the Yellow Springs Police Department defrauding the Attorney General’s office, usurping or abandoning authority, and playing a shell game with the payroll. 2923.32 Engaging in pattern of corrupt activity. In 2017, there were ten individuals for whom Attorney General Mike DeWine’s office reimbursed the YSPD, each for a total of 36 hours. Ofc. Knickerbocker’s did not work any hours for the YSPD in 2017 and as of 5-25-2018 has not worked at all. This is the same Thomas Lee Knickerbocker who is president of Knickerbocker pools. From the YSPD records, he is unlikely to be a qualified police officer--yet he is able to carry a gun, make arrests, and kill with the same legal protections of a police officer. His personnel file does not contain a single certification. Let’s look further at the individual training logs. Knickerbocker has minimal recorded training in 2017. Lieff has a substantial amount of training. Yet, Ofc. Lieff only has a grand total of 26 hours listed on her stubs, and 24 hours listed on her time sheets. Officer Nipper has either 12 or 14 training hours, depending on whether you look at time sheets or pay stubs. He has also been training through the year. Bennington also has a plethora of training. However, Ofc. Bennington has a grand total of zero training hours listed on her time sheets or pay stubs. Are these officers training for free? If not, they are being paid out of the general fund. One of them is not being paid at all. Not one of these four officers has the full 36 hours that is being stated on the Attorney General mandated Roster Report. Are these officers auxiliaries to other police departments? If so, why is Yellow Springs being reimbursed for training at other police departments? Within the Attestation of Requestor, reimbursement pay is explicitly only to be used to pay the costs of Continued Professional Training programs. Instead of segregating the regular and training time accurately, the Yellow Springs Police Department has lumped regular time in with training time for Bennington, Nipper, and Lieff. At the same time, the YSPD is defrauding the state for the costs of Knickerbocker’s training which he was never paid for which likely never happened. Only the two instances of training in 2017 are recorded, none of them are the OPOTA courses. With certainty, bullet points #1 and #4 of the attestation of Requestor were violated by Sgt. Watson who signs most of the time sheets and would therefore be most familiar with who has how much training. How can this be done without Chief Carlson’s knowledge? Possibly because Chief Carlson is not really in charge of the police department. The Attestation of Requestor signed by Sgt. Watson as “Agency Administrator” must have been signed after July 1st, as indicated by the “Primary appointing agency on 7-1-2017” column. This took place at least two months after Chief Carlson was appointed to the position permanently on June 6th and half a year after being named interim Police Chief. Sgt. Watson signed as her own supervisor on time sheets after Chief Hale’s resignation on January 3rd, 2017. (1-9-2017, 1-23-2017) After this time, all sheets were signed by interim Chief Carlson. Carlson was appointed as interim Police Chief on the 23rd of 2017, with all the duties of the police chief. On 1-9-2017, Sgt. Watson signed as Sgt. Knapp’s supervisor, while on 1-23-2017, Ms. Patti Bates signed as Knapp’s supervisor. Sgt. Watson resumed signing Sgt. Knapp’s time sheets for two more pay periods (on 2-6-2017 and 2-17-2017). This indicates that in the absence of the chief, the department head (by fact rather than ruling) seems to be Sgt. Watson. Furthermore, Sgt. Watson trades off with Chief Carlson in signing time sheets. If Sgt. Watson is not Chief Carlson’s supervisor, he certainly knows no better. If she is not the supervisor, then she has no supervision. According to the village organization chart, Village Manager Patti Bates would be the most appropriate choice to sign Chief Carlson’s timesheets rather than a supposed subordinate of Carlson’s. Why is Bates not the one signing Carlson’s time sheets? Is there any guarantee that the timesheets are accurate? The two highest ranking officers in the YSPD account only to each other. They are not accountable to the presumed structure of the village. Who is the most involved? It seems to be Carlson and Watson. Between a subordinate and a superior trading off signing each other’s time sheets, who can really know where or when either of them were? The money is obviously going to the police department. The amount of money is unknown. This is unlikely to be the only instance of corruption. Looking further at the time sheets, Officer Beam and Officer Meister appear to have been underpaid for thousands of dollars worth of overtime and training hours while Officer Charles appears to have been overpaid. The author is not a professional accountant, but the numbers don’t seem to add up. Please check the data for yourself. How long has this been happening? Knickerbocker has been on the YSPD since 1993. Does he even know about this deception? The Mockingbird has analyzed only one year of data. How many years has this fraud been repeated? This writer would wager that the deception has been happening for years but that has become much more obvious recently. Carlson went from being a part-time officer to a full-time chief. He is a prime candidate for manipulation. Why has this been happening? Because Sgt. Watson is the sottocapo within the Yellow Springs Police Department and Chief Carlson is her willing public relations avatar. Ironically, it is Knickerbocker’s personnel file that contains a (blurry) message on how to report corruption. Carlson’s one-year review is coming up. I wonder if Watson or Bates will be reviewing him? It should be noted that Ofc. Knickerbocker is a part-time officer. Why is this village so expensive? Surely the police department contributes to the high cost of living.